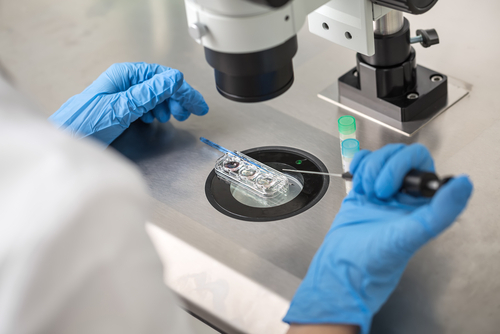 Two recent rulings concerning the fate of frozen embryos are raising questions about the rights of egg and sperm donors, the interpretation of unclear contracts and implications in the abortion debate. The U.S. Supreme Court is being asked to consider one of the cases, decided in October by the Colorado Supreme Court, Above the Law reports. In that case, the Colorado Supreme Court outlined the factors that courts should consider when considering the rights of a divorcing couple who disagree on the disposition of frozen embryos. Ruling in the case of Mandy and Drake Rooks, the court said judges should first look to any existing agreement and, if there is none, should consider six factors. One factor is whether the spouse who wants the embryos can have biological children through other means. Another is the hardship for the spouse who doesn’t want to be a genetic parent. The second decision was issued March 15 by the Arizona Court of Appeals in the case of Ruby Torres and John Terrell, who completed in vitro fertilization before Torres began cancer treatment. The court ruled for Torres, who is seeking the right to implant the embryos, report Capitol Media Services and Above the Law. Terrell, who was Torres’ boyfriend at the time, had initially declined to serve as the sperm donor, but he changed his mind when a prior boyfriend of Torres’ volunteered. The couple married after signing an agreement for in vitro fertilization, but Terrell filed for divorce two years later. Torres’ case was inspiration for an Arizona law that requires courts in divorce proceedings to award embryos to the spouse who intends to allow them to “develop to birth.” But the law did not apply in the case of Torres and Terrell, the Court of Appeals said. Instead the court looked to an in vitro agreement the couple signed that appeared to have conflicting language. One provision said that embryos can’t be used to produce pregnancy against the wishes of one of the partners. The Court of Appeals said the agreement gave it authority to determine disposition of the embryos, and a balancing of the parties’ interests weighs in favor of Torres. She gave up the opportunity to use another donor and is likely unable to become a parent, and those interests outweigh Terrell’s right not to become a parent, the court said. The abortion issue is front and center in the Colorado case since the Thomas More Society began representing Mandy Rooks, according to Above the Law. The nonprofit has filed a cert petition asking the U.S. Supreme Court to rule that frozen embryos are persons rather than property. A press release is here. Above the Law blogger Ellen Trachman thinks there are so many implications to a ruling in favor of personhood that the Supreme Court won’t agree to hear the case, even if it aims to overturn Roe v. Wade.